Plug-and-play monthly Facebook campaigns for busy DJs, labels or indie music artists. Get daily like for your posts by real, active fans worldwide. When it comes to music social media campaigns, the best pilot is no pilot. 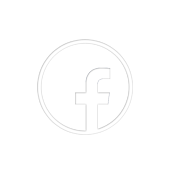 Sit back and relax (or better, go make awesome music) for a month, while we take care of your Facebook needs with daily likes for your fanpage posts. This autopilot Facebook campaign service gives you 2,000 daily likes for EACH of your Facebook posts, every day during one month. So, if you post five things (e.g. 2 videos, 1 text post and 5 photos), you get 10,000 likes total in that day. While sky's the limit in creativity and in fame, in this autopilot campaign the limit is 15 posts/day. Because, well, you get tons of daily likes for your posts and there are finite people in the universe. The Facebook profiles liking your stuff are real, active and come from all over the world. Meet the finest music and EDM online marketing and social promotion packages with Promosound Group. Psst, we've launched a new service, fully dedicated to music marketing and online promotion autopilot campaigns. Take a look at ArtistPush.me and treat your EDM promotion to some serious social media, Soundcloud and streaming digital marketing packages, all mixed up to perfection by your loving team of pro music marketers.